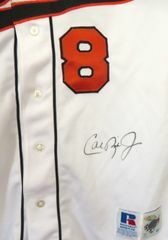 Cal Ripken 1995 Baltimore Orioles home white authentic Russell Athletic GAME MODEL size 48 jersey with stitched-on double layer cloth tackle twill name and numbers, autographed in black paint on the front. Obtained in person. 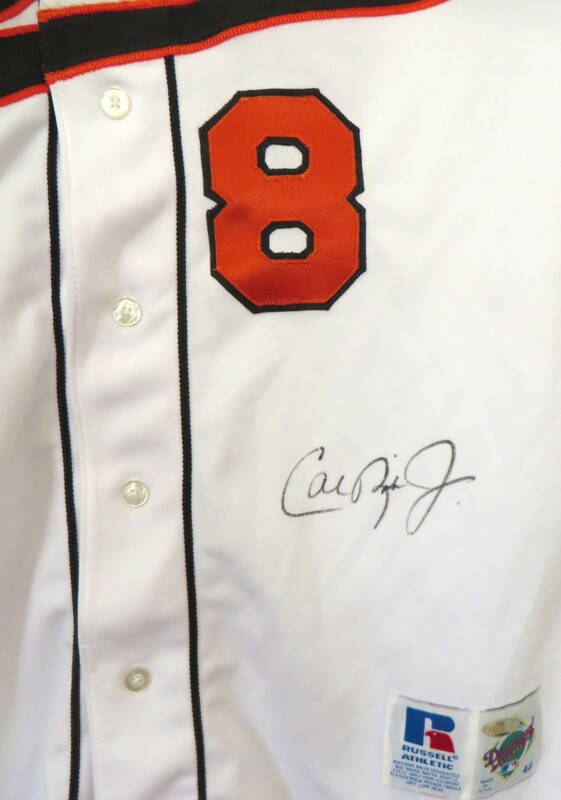 Authenticated by Ironclad Vintage, with their numbered hologram on the jersey and certificate of authenticity from AutographsForSale.com.